It is no secret that Alaska is one of the great destinations that gold miners seek out to search for gold, and for good reason. Tons of gold have come out of the state over the last century, and plenty of the yellow stuff is still in the ground waiting to be found. With the high price of gold in recent years, the gold districts of Alaska are busier than ever, with miners from all around the world prospecting the creeks and rivers during the short mining season each year. Alaska’s mining regulations are also much more “miner friendly” than most of the other states in the U.S., where it is nearly impossible to set up a large scale placer mining operations these days. One thing that many miners who venture up to Alaska are surprised about is how limited the opportunities can be for the average recreational prospector in some areas. While there are millions and millions of square miles available to prospectors in Alaska, road access is limited. Much of the state is also covered with tundra, which is not ideal for recreational prospectors since the gold is covered with significant overburden. 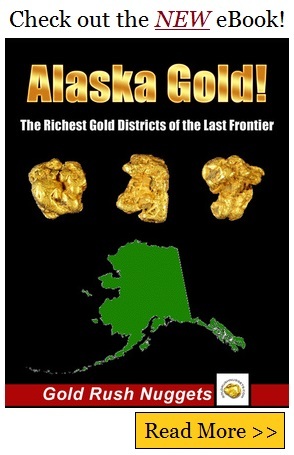 In the known gold districts across Alaska, much of the best ground is already claimed up and not available to prospectors. With that said, there are quite a few areas that are specifically set up to accommodate tourists and recreational prospectors visiting Alaska for the summer. In many of the better known gold districts, there are often a few areas set that you can get a gold pan wet without needing any special permits. It would be best to contact the Chamber of Commerce or appropriate agency in the specific area of Alaska that you are going to be at and get further detailed information from them.
. It is a great guide to some of the richest areas in the state, and some of the most productive historic mining areas. If a person is really feeling adventurous, the remote roadless areas of Alaska hold great potential and it is highly likely that there are some significant gold discoveries yet to be made in the state. Accessing these areas would be a serious undertaking, but could be the adventure of a lifetime. When many people think of gold mining, their mind immediately wanders to Alaska. 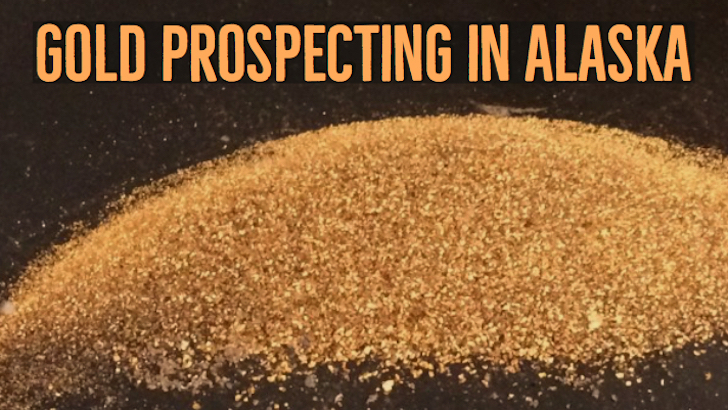 There is no doubt, Alaska has an allure that many people can relate to, and for the gold prospector it still holds great potential. Many large nuggets have been found here, and many more are still being found today. Seeing a picture of the largest nugget ever found in Alaska, the Alaska Centennial Nugget, is enough to get anyone’s blood pumping!